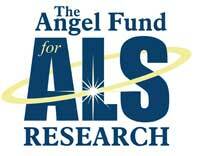 Our ALS partner in 2018 was the Angel Fund Rich, and Ratt Kennedy has been president of the Angel Fund for 20 years. Ratt lost his father to ALS, then his youngest brother to ALS in 1995. He’s worked tirelessly raising money for Dr. Brown and his staff at UMass Medical Center at the Cecil B. Day Laboratory for Neuromuscular Research. In a cruel twist of fate, Ratt, while training for his 31st Boston Marathon in January of 2016 began getting a tingling in his legs. This sensation progressed over the next several weeks and his worst nightmare was realized when he was diagnosed with ALS in April of 2016 carrying the familia gene. The past eight 100 inning games, Ratt has been alongside Walter Bentson, our umpire chief also diagnose with ALS, the duration of the game. In attendance were dozens of players, including 16 insane enough to play all 100 innings. As usual, we had fifteen 6-man umpiring crews from throughout Mass rotating in every 2 hours supporting Walter, who put on the umpiring gear himself at midnight for his annual appearance behind the plate. This segment featured Jay Hussey, who organized Welch’s Warriors to support his cousin who was diagnosed with ALS. Also featured is Kevin O’Leary who pitched the first 25 innings of the game. Event organizer Brett Rudy also discusses what makes the event successful. Quincy, Massachusetts Mayor Thomas Koch throws out the ceremonial first pitch at the 100 Innings of Baseball game at Adams Field. See the photo album from the 100 Innings of Baseball game in 2018.